Buddy's is Better because we don’t take your satisfaction for granted! Over the last half century, the Buddy’s team has built our business one satisfied customer at a time. Today, Buddy’s is the largest independent "Rent to Own" dealer in the country with 330+ locations nationwide. Every customer is important to us, and we’ll prove it. We are dedicated to earning your trust and your business. "When you need us, we are here for you!" 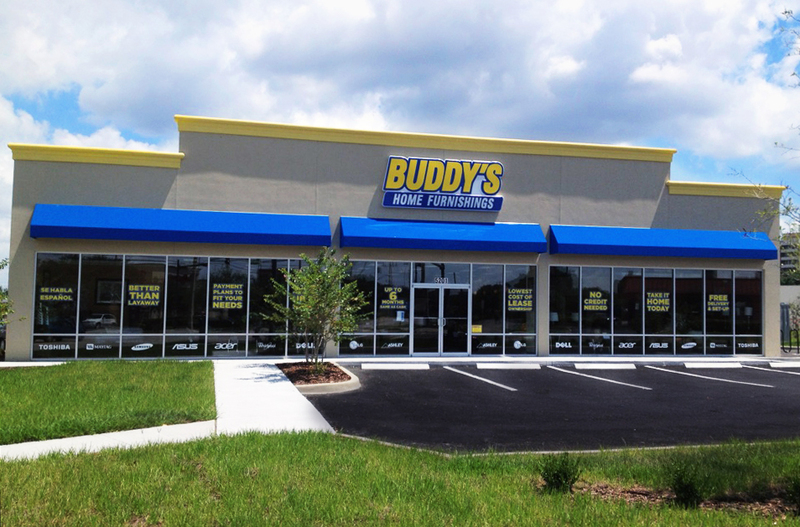 Buddy’s offers flexible payment options including weekly or monthly rental or lease purchase programs. We also offer instant approval, so you can start enjoying your new merchandise sooner. With Buddy’s lifetime reinstatement program, you’ll never lose a dollar you’ve invested with us. Our products and selection bring comfort into your life! Buddy’s offers a huge selection of name brand, quality furniture, appliances, electronics, computers and MUCH more. We are constantly updating our inventory with the newest styles and technology, so you will always have the best we have to offer.